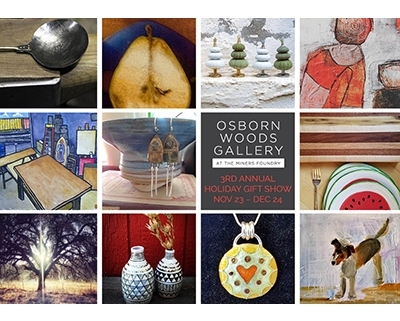 The Osborn Woods Gallery presents the 4th annual Holiday Show, featuring 11 local artists showing beautiful, affordable handmade work. We are open seven days a week, from noon to 5, from November 23 to December 24. 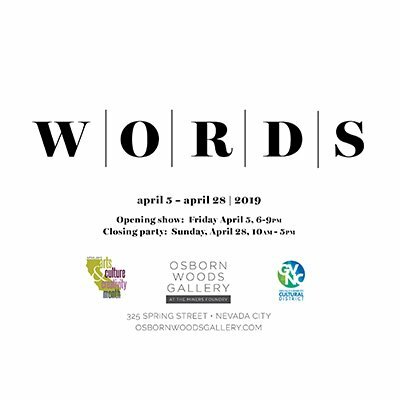 Come to enjoy a glass of wine or hot beverage and a snack as you shop our warm gallery, full of beautiful colors, music, and art!